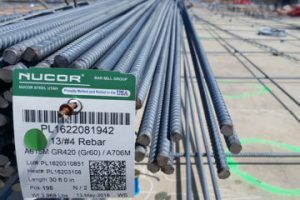 Re-bar are steel bars of various diameters and lengths which have steel ribs that add to the bonding value of concrete for adhesion and additional strength. 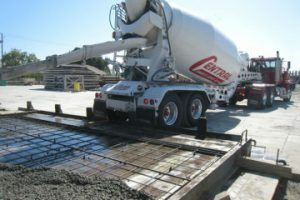 Reinforcing steel and concrete are bonded together by a mechanical connection.This provides the tensile properties which adds another element of strength to the concrete. The testing of concrete at the construction site is to sample the freshly mixed concrete, check for slump, temperature and cast a set of cylinders for compressive strength verification. Slump is a field test to measure water quantity mixed within the concrete. This is mainly for field-use measurement as a guide for the work-ability of concrete. Post-tension concrete cables are long steel cable ropes, usually 1/2″ in diameter within a plastic protective grease coated sheathing. Post-tension concrete cables are a group of cable tendons placed within the concrete providing compression strength laterally. 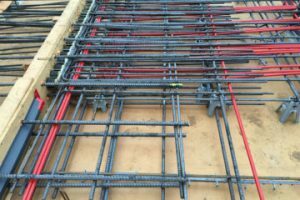 Post-tension concrete cables which are placed within the concrete allows the concrete to be elevated as it has compressive lateral strength. The best field inspection personnel cannot be efficient without excellent support from the laboratory. Metzger Testing & Inspection works with the top laboratory material testing facilities in the area that have quality testing and diagnostic equipment. 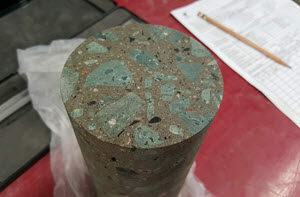 Concrete and masonry samples, soil, asphalt, fire resistive materials, and many other material types are tested in-house. With Metzger Testing & Inspection, you are working with one of the industry’s most reliable special inspections service agencies, Contacting Metzger Testing & Inspection you are guaranteed someone who knows this business and cares about your project. We work hard to provide quality for all. Do you need a third party project inspector or engineer on the job-site due to a previous inspection no show or conflict of interest? Our engineers or inspectors are professionally trained to work around your schedule tailoring our inspection services to meet the needs of the developer. 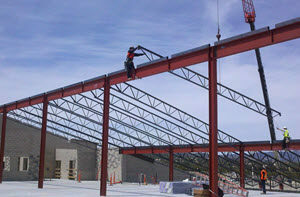 Metzger Testing & Inspection has built a reputation on quality, excellence, and dependability within the industry. Our clients retain us for all their future projects. We deliver 100% quality service and reporting. Metzger Testing & Inspection inform you of non-conformance items which need to be corrected. 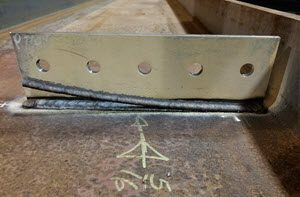 Should a structural issue arise, we assist the primary contractor providing the relevant information and location to the engineer of record requesting clarification on how to proceed. Our clients appreciate the detail and organization we bring to the project. Metzger Testing & Inspection Inc.
© 2009-2019 Metzger Testing & Inspection Inc. All rights reserved.